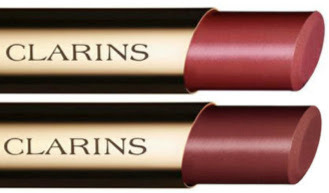 This Autumn's make-up collection from Clarins is modern and graphic, focusing on length and liner. 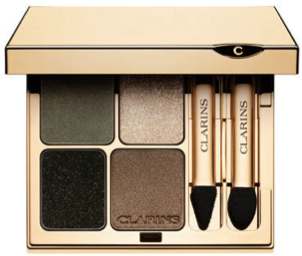 The colours are muted and quiet, and feature khakis and taupes (these colours are in most of the makeup collections this fall) - the highlight of the collection for me is a cool-toned eyeshadow quad. 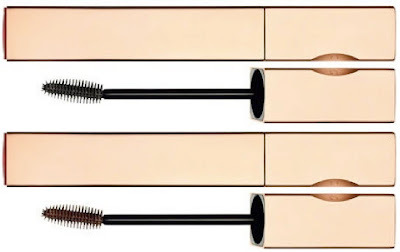 Retailing at €26, this new formulation mascara promises to lengthen, separate, volumise and curl lashes with no clumping... a hefty claim backed-up by the ingredient list and the new shape brush (I have yet to find a really good mascara that does all four successfully, so we shall see!) These contain the growth stimulating ingredient Matrikine (a peptide that purports to assist with lash growth) and the lash conditioning ingredient panthenol (which helps to strengthen lashes). From the perspective of the "lash growth" claims, an interesting point to note is that after four weeks of usage, the average lash length of the 33 ladies who participated in the trial for this product had increased by an average of 1.1mm, which is pretty impressive growth. Definitely will be interested in a look at this one to see if it lives up to the hype. Coming only in one shade, #01 Black, and at €25, this is was originally released in 2012 and this release is in effect a re-promote, however there have been some formulation tweaks to include the same growth-stimulation ingredient that features in the Be Long mascara - otherwise it's the same product. This (like its predecessor) will be permanent line. See here for my recent review post on this product. 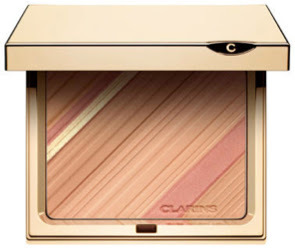 The Face and Blush Powder will be LE, €37, and comprise three shades which can be used on their own or swirled/blended together - two shades of beige and one shade of coral pink. This powder also features white tea extract to assist with anti-pollution and Clarin's own exclusive plant micropatch ingredients to assist with skin hydration. Note that at point of this post, this quad wasn't yet available on-counter, however as it's going to be permanent line, there's not a huge deal with it arriving late. As with the rest of the range, these contain mango butter to help nourish the lips and protect from dehydration. These will be permanent line. 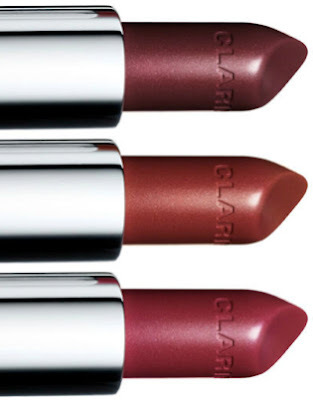 These are shot through with pearl for a shiny (non-glossy) lipstick appearance and will be permanent also. 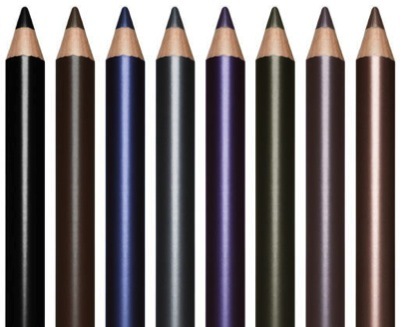 These eye pencils come with the added advantage of a handy eye brush (small sized paddle/flat applicator brush) on the opposite end, and #01/Intense Black is sold with its own sharpener (I'm not entirely sure why the other shades don't have a sharpener included, but how and ever). The Autumn Collection is already available to purchase since the 7th of August (but note as per above that there has been a delay with the quad, it is not on-counter just yet and at time of post, there was no update on its due date).